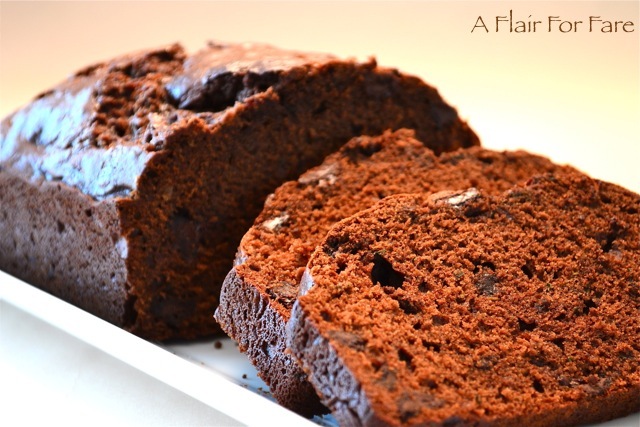 Even if you’re not a zucchini fan, you will find this sweet bread to be most delicious. Moist, chocolate, so decadent – add a scoop of ice cream and drizzle of chocolate sauce to put it over the top. Prep a 9x5x3 or size approximate loaf pan with Pam or vegetable oil. Mix eggs, honey, oil, sugar and vanilla in a large mixing bowl. Add in salt, baking soda, baking powder, cocoa and flour and mix well. 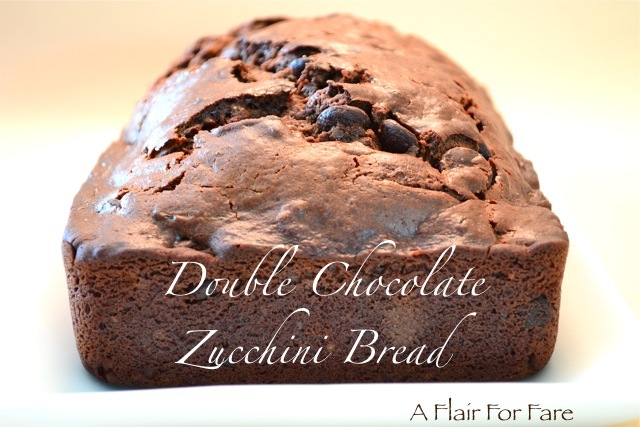 Blend in zucchini and chocolate chips and pour into loaf pan. Bake for 60-75 minutes, checking at the 60 minute point. Baking times are affected by the amount of moisture in the zucchini and the type of pan you use. Test with a toothpick or cake tester inserted in the center of the loaf. It should come out clean unless you pierce a chocolate chip. Remove from oven and cool for 10-15 minutes before removing from pan, then continue cooling on a wire rack. Wrap well and store at room temperature. Note: Since I didnât have honey, I omitted, and still greatâ¦.didnât even notice.